Live webcam View from the Nordkette mountain chain on the city of Innsbruck. Live webcam View from the Patscherkofel mountain on the city of Innsbruck. The holiday area Innsbruck and surroundings is undeniably a great area located in the heart of the North Tyrolean Alps. The chief city Innsbruck is the treasury of the Alps and offers highlights like the Golden Roof (Goldenes Dachl) as well as the Berg Isel ski jump and the view on the surrounding mountains. The holiday area and its Olympia SkiWorld Innsbruck featuring 250 km of ski slopes is one of the largest ski and winter sports areas of Austria. Not for nothing this area has twice been venue for Olympic Winter Games. However, also for summer visitors this area has got much to offer around Innsbruck, Seefeld in Tirol and the Mieminger plateau. You can not only relax in the Alpine Park Karwendel, but also enjoy numerous cultural highlights like theatres, concerts and celebrations, or spend an afternoon drinking cappuccino in the sun. Absam is a pilgrimage site along the famous Way of St. James. 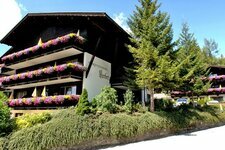 The holiday resort of Aldrans is located on a sunny terrace above Innsbruck. 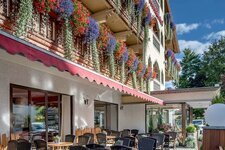 Ampass is located close to the alpine city of Innsbruck on the southern Inn riverbank. The municipality Baumkirchen is located at 593 m asl at the so-called Gnadenwald terrace. The holiday resort Flaurling is located in the Inntal valley between Telfs and Zirl. Fritzens is name-giving for the pre-Romanesque period “Fritzens-Sanzeno culture”. The municipality of Götzens is located about 7 km in the south of Innsbruck. The idyllic holiday resort Grinzens is located at the entrance of the Sellraintal valley. The calm holiday resort of Hatting is located along the famous Way of St. James. The holiday village Igls is located on a sunny plateau only 5 km from Innsbruck. Innsbruck has got many names: Olympic City, Alpine City, City of Culture. Kühtai is highly recommendable for persons suffering from allergies and asthma. The village of Lans with its 1,000 inhabitants is above all famous for its Lake Lans. The municipality Mieming is situated in an idyllic position on the Mieminger plateau. Mötz is the starting point of a road taking to the Mieminger plateau. 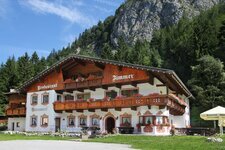 Beside Natters, also Mutters is located at the entrance of the beautiful Stubaital valley. At Pettnau there is one of the most ancient taverns of Tyrol, the Mellaunerhof farm. The market town Rum with its almost 9,000 inhabitants is located in the east of Innsbruck. The municipality Sellrain is the chief city of the homonymous valley. The municipality Stams is above all known for its Stams monastery. Tulfes is located at the foot of the 2,677 m high Glungezer mountain. The head office of the crystal company Swarovski can be found in Wattens in North Tyrol.